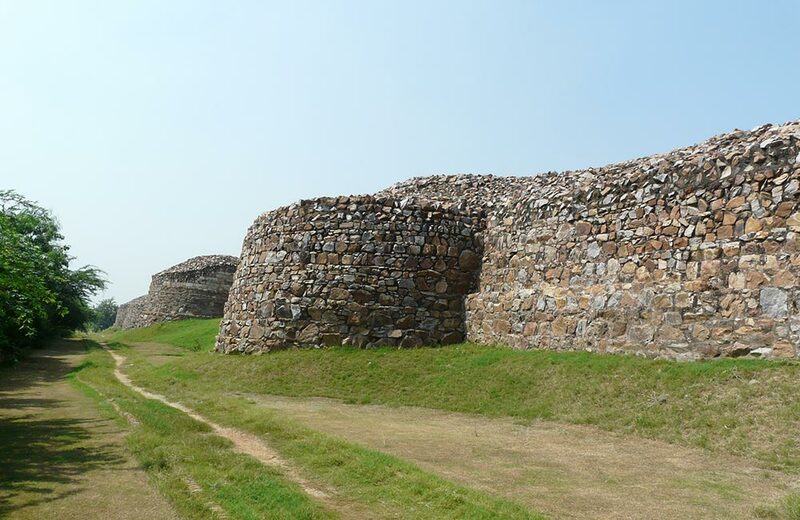 Forts have played a significant role in the history of many empires in India, be it of the Chauhans, Tomars, or Mughals. As forts were the first level of defense against enemy attacks, rulers laid great emphasis on building these around their cities. And, as we all know that Delhi was a favorite of most rulers when choosing a capital, there were several forts built in and around the city by different rulers. Today, though many of these magnificent structures are in ruins, they still represent Delhi’s historical and cultural heritage. Having said that, here’s a quick rundown of the most significant forts in Delhi NCR. 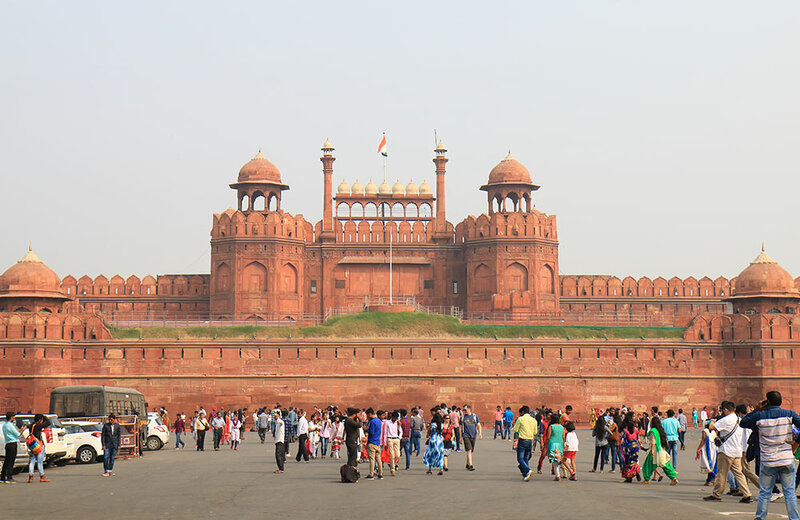 Red Fort, a UNESCO World Heritage Site in Delhi is one of the most beautiful forts in the country, renowned for its impeccable architecture and planning. The fort was named after this the red sandstone that was used in its construction. The construction of massive complex was begun on the banks of river Yamuna by Mughal emperor, Shah Jahan in 1639, and it took almost 9 years to complete. From thereon, Red Fort became the primary residence of the Mughals for almost two decades till 1856. The Octagon-shaped fort has ramparts stretching 2 km in length. 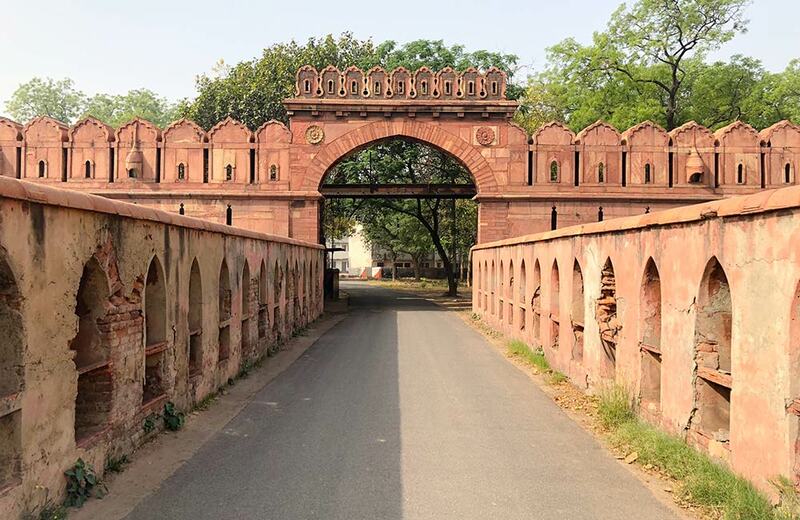 It has two gates – Lahori Gate and Delhi Gate – with Lahori Gate being the main entrance. Naubat Khana, Diwan-I-Aam, Diwan-I-Khas, Rang Mahal, Khas Mahal and Mumtaz Mahal are some of the well-preserved structures in the fort. The fortress is considered as one of the best examples of Mughal architecture, and though the palace was built as per Islamic aesthetic traditions, there are elements of Hindu architecture as well. So, if you are looking for a peek into the art and architecture of the Mughal period, this place is a must visit historical place in Delhi. Salimgarh Fort dates back to 1546 when the Suri dynasty ruled Delhi. Built by Salim Shah Suri on the land that was once an island on the Yamuna River, it lost its significance after the fall of the dynasty in AD 1555. The Mughal rulers used the fort for their short stays when the Red Fort was still under construction. Salimgarh Fort was converted into a prison by Aurangzeb, whereas the British turned it into their army camp in 1857. The triangular fort has thick walls built of rubble masonry. There are circular bastions from where sentinels kept a watch. There’s a bridge that connects Salimgarh with the Red Fort. Though the fort is in a ruined state, it is the view of the Yamuna that makes it a wonderful fort in Delhi to visit for couples. 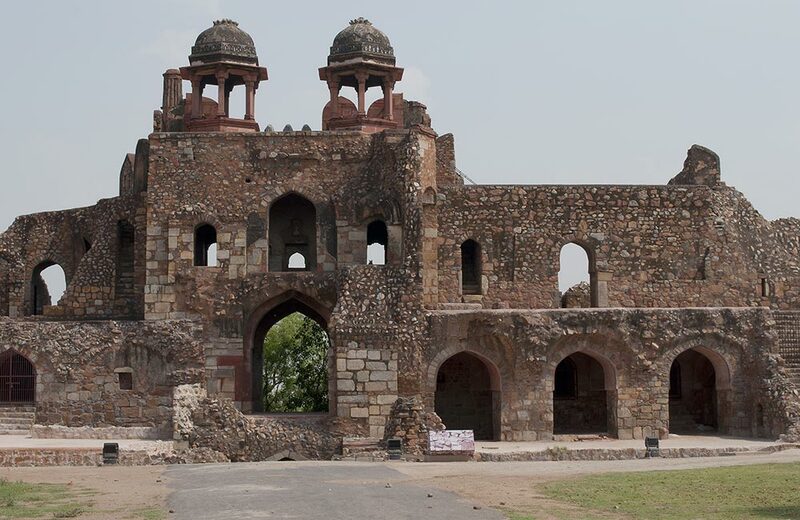 Also called Purana Qila, it is one of the best places in Delhi for history lovers. The fort served as an inner citadel of Din Panah city till 1540, when it was captured by Sher Shah Suri, the founder of the Suri dynasty. He renamed the fort Shergarh and also added more structures to it during his five-year rule. The Old Fort has 18 meters high walls that stretch to about 1.5 km in perimeter. There are three arched gateways, named – Bara Darwaza, Humayun Gate, and Talaqi Gate, all of which are double-storeyed structures made of sandstone; these have two semi-circular bastion towers as well. A large part of the fort is well maintained, and you can visit lawns, Shermandal (where Humayun fell and died), Qila-I-Kuhna Mosque and a museum that houses the excavated artifacts from the fort. The light and sound show held here daily is something that one should definitely attend, especially those who want to learn about the history of the Seven Cities of Delhi. If legends are to be believed, Alauddin Khilji, got heads of 8000 Mongol soldiers buried in the foundations of this fort. And that’s where the fort derived its name from. Siri is derived from the word ‘sir’, which means ‘head’ in English. Siri was once a fortified city serving as the primary power center of the Khilji rulers. It was to meet the water needs of this fort’s residents that the reservoir in Hauz Khas was excavated. Siri Fort had the Palace of a Thousand Pillars and the famous seven gates that opened towards different parts of the city. If you are a history buff, even its ruined walls and bastions will hold a lot of significance for you. Also known as Rai Pithora Fort, Qila Rai Pithora is the oldest surviving fort in the capital city. When Chauhan rulers took control of Delhi from Tomars in AD 1160, they captured Lal Kot, which is supposed to be the first urban settlement in the region. The Rajput king, Prithviraj Chauhan enlarged the 8th-century Lal Kot and renamed it Qila Rai Pithora. The massive fortress was six and a half kilometers long, with Lal Kot as its central structure. The fort has seven gates in total with the most famous being – Ghazni, Ranjit, and Sohan Fateh. The remains of the fort walls are still present in Saket, Qutub Complex, Vasant Kunj and Kishangarh. The ruins of Tughlaqabad fort tell tales of victory, curse, and envy. 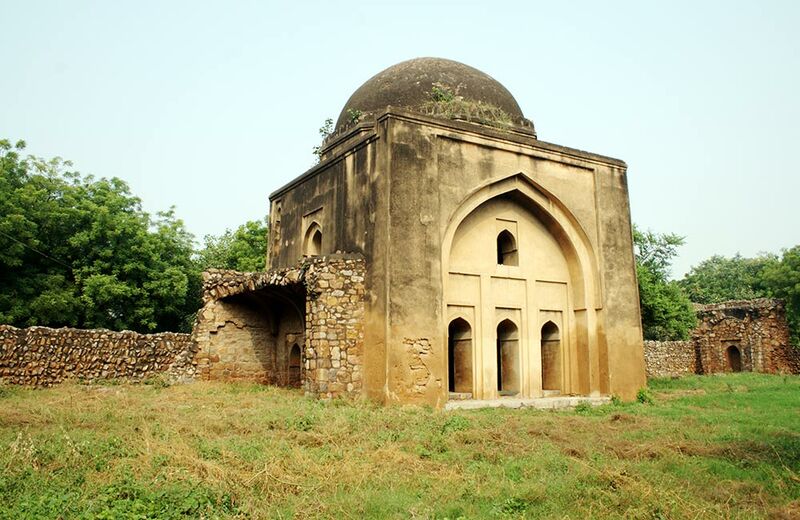 The fort was built by Ghiyas-ud-din Tughlaq, the founder of the Tughlaq dynasty. It is said that Ghazi Malik, who was the feudatory to the Khilji rulers, suggested that king build a fort on a hill in the southern part of the city. The king, unaware of the ulterior motives of Ghazi Malik, jokingly asked him to construct a fort for himself after he becomes king. Later, Ghazi Malik drove the Khiljis away and himself became the ruler under the title, Ghiyas-ud-din Tughlaq. He built a beautiful fort to keep the Mongols away, but couldn’t stop the fall of the sultanate. The emperor was crushed to death when a shamiana (tent) fell on him on his way back to Delhi. It is said that Ghiyas-ud-din Tughlaq was cursed by a Sufi saint, who said “Ya rahey ujjar, ya basey gujjar”, which came true within four years of his rule. The fortress had 10-15 meters high rampant and 6.5-kilometer perimeter in its heydays. It was an octagonal structure with high battlements and up to two stories high circular bastions to defend the kingdom. Mostly in ruins now, its ramparts are still a testimony to its past splendor. 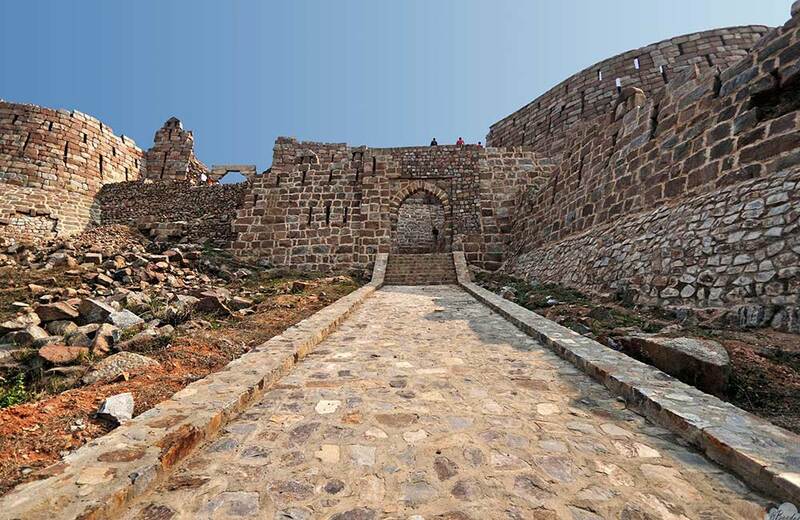 An imitation of Tughlaqabad Fort, the fortress of Adilabad was constructed by Sultan Muhammad Bin Tughlaq, the son of Sultan Ghiyas-ud-din Tughlaq. Though the fort has huge sloping walls and crenulations, its architectural elegance is nothing compared to that of Tughlaqabad Fort. Besides architectural difference, the fort was also smaller than the former structure. Adilabad Fort had fortified walls built to protect the city and people from attacks. After the walls were constructed, a citadel was built as the residence of the royal family and prominent courtiers. The most interesting element of the fort is the ‘Place of a thousand pillars’, also called as ‘Qasarr-i-Hazar Satun’. Sultan Muhammad Bin Tughlaq wanted to create a masterpiece, a trend that was popular during the era and is seen in famous tombs, including the Taj Mahal. However, what’s left today are ruined walls that still attract the attention of tourists. 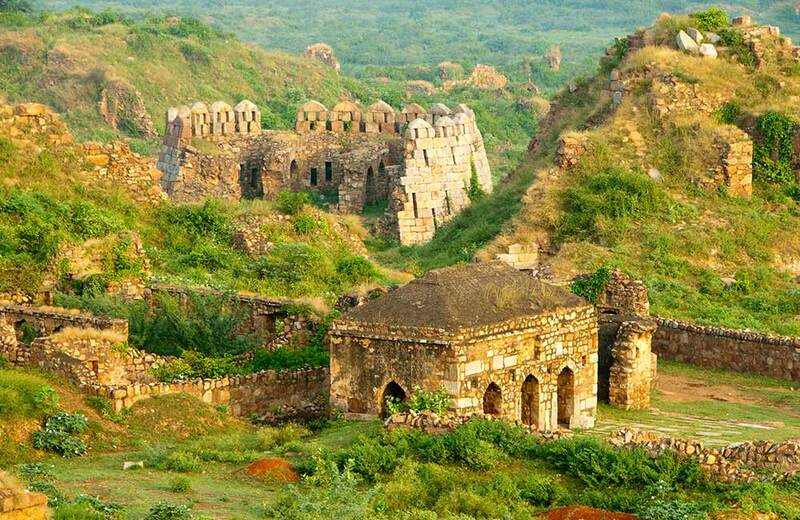 Feroz Shah Tughlaq created this fort in the mid-14th century next to Yamuna River. The sultan also planted the famous 23-ton Topra Ashokan Pillar, dating from the 3rd century BC in the fort. Besides the famous pillar, the fort also has a mosque, baoli, and lush gardens. The mosque is surrounded by a large courtyard and houses a prayer hall that is in ruins now. The circular baoli (a step well), to the northwest of the Ashokan Pillar, is also in ruins and locked by the authority. It is, though, used to water the gardens of the Feroz Shah Kotla complex. 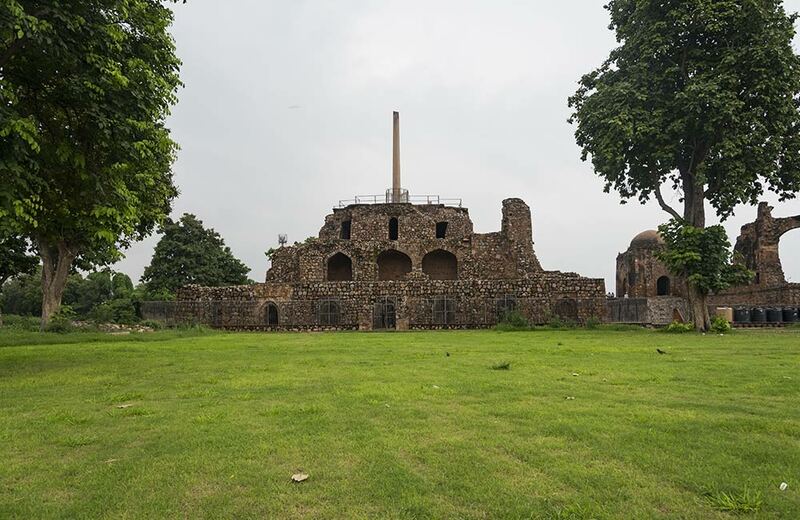 Did you know that Ferozz Shah Kotla Fort is counted among the most haunted places in Delhi due to the supposed presence of Djinns, who like having fun with visitors?! Besides these forts, Delhi also has several tombs, temples, and structures that hold great historical significance. So, the next time when you book a hotel in Delhi for a business trip, book it for a longer duration as you know that there’s a lot to explore in the city.